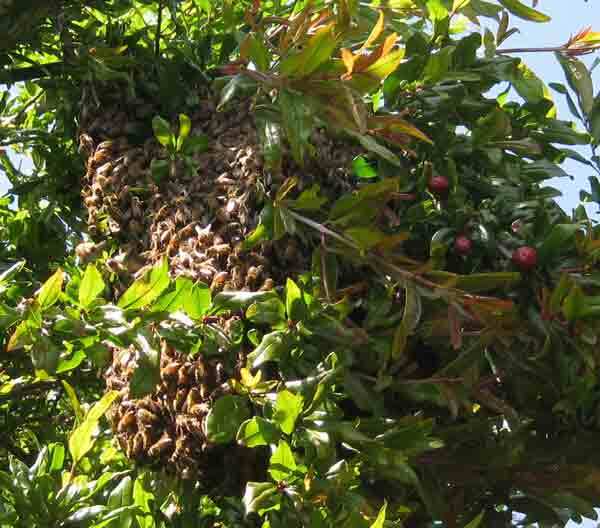 The hive we call Hive 2, swarmed and the bees settled in a branch of a pomegranate tree that hangs in our yard. We called the friends who lost the possibility of collecting a swarm when the newspaper trick worked, and one, Pamina, came as soon as she could. 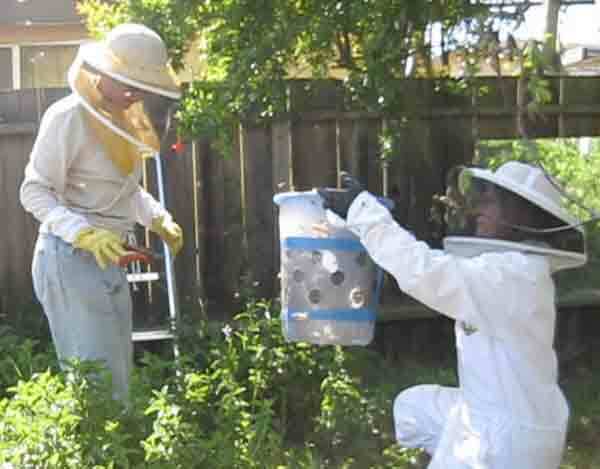 She brought a very cool bucket for transporting the bees and her own ladder. 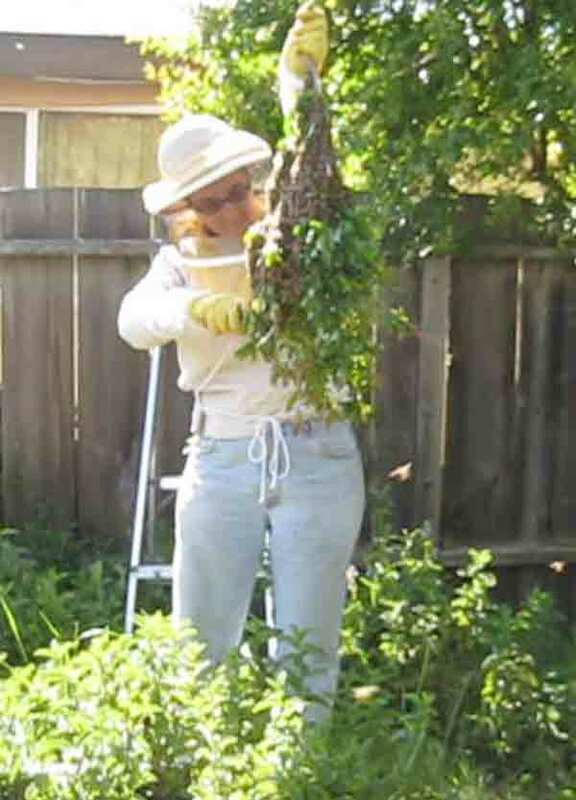 Pamina climbed up the ladder and cut the branch the swarm was on. The idea was to put the whole branch into the bucket, but it was a little too big, so Pamina trimmed the branch until it fit. Pamina trims the branch the swarm hangs on. 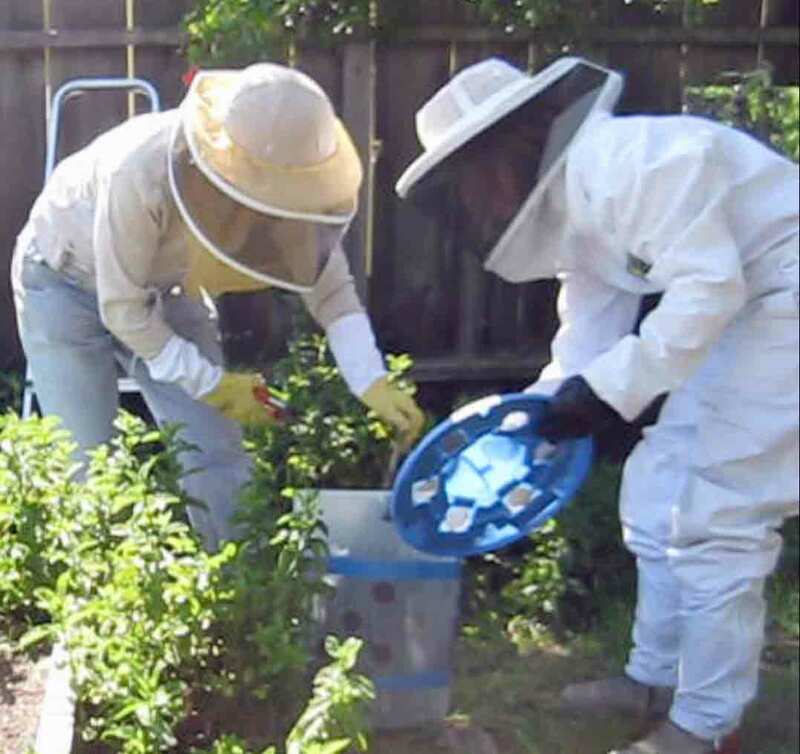 Pamina placed the bees in the bucket while I stood by with the lid. 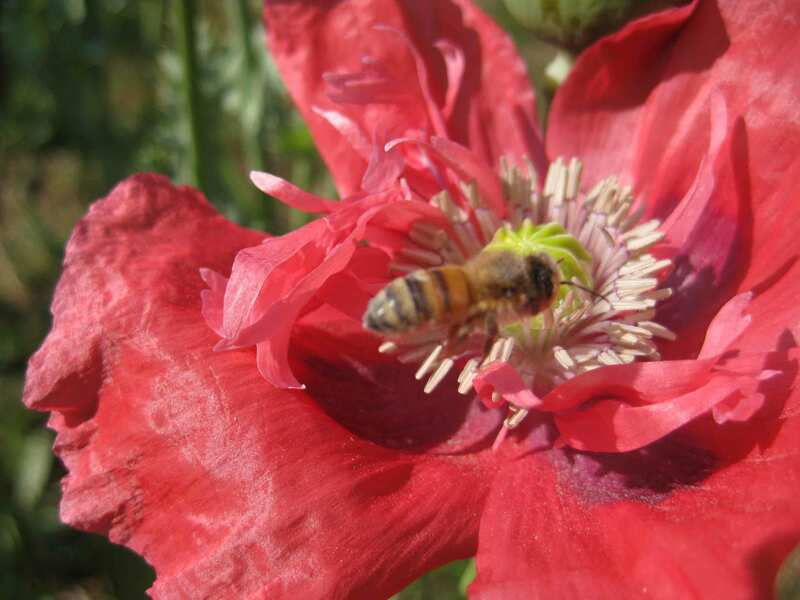 Since then, I’ve been infatuated with the bees practice of rolling in poppy pollen in the morning. The big pink boisterous blooms are pollen heavens for the bees. I’ve seen up to three bees in one bloom at the same time. The bees are only interested in these flowers in the morning though, and go to other flowers later in the day. 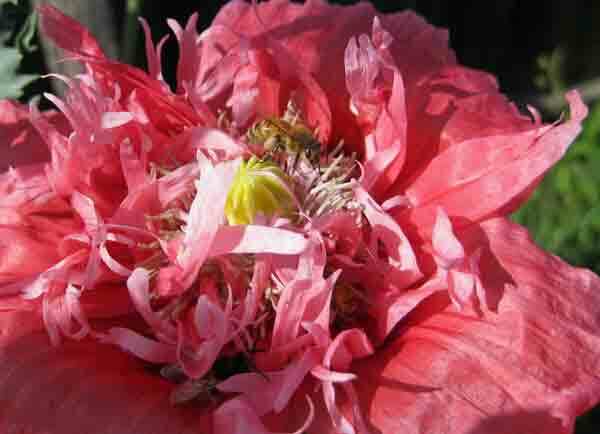 Bee dusty with pollen in pink poppy. The following video is a collage of the exuberance of bees in poppies and recent swarm activity. Thanks again for the bees!!!! They seem like they’ve settled in well. I’ll probably check in on them later this week.